An exploding candle lit the fuse on a protracted product liability case. The Plaintiffs sought un-redacted copies of reports created by a forensic engineering firm that collected complaints from customers. The firm was hired by Defendant’s attorneys for analysis of the flash-over incidents. Lakes v. Bath & Body Works, LLC, 2018 U.S. Dist. LEXIS 87984, at *3 (E.D. Cal. May 24, 2018). The report produced to the Plaintiffs was inconsistently redacted with little analysis of the candle incident from customers. The Defendant claimed the reports were protected by the “work product doctrine” because they were created transmitted “in anticipation of litigation.” Lakes, at *4-5. In order to be protected by the work product doctrine, the following claimed document must be: 1) “Prepared in anticipation of litigation or for trial” and (2) be prepared “by or for another party or by or for that other party’s representative.” Lakes, at *6, citing In re Grand Jury Subpoena, 357 F.3d 900, 907 (2004). If a document was not prepared exclusively for a lawsuit, then courts apply a “because of” test that asks, “in light of the nature of the document and the factual situation in the particular case, the document can be fairly said to have been prepared or obtained because of the prospect of litigation.” Lakes, at *6-7. The Court found that the reports were not created “because of” litigation. Moreover, just because there is the potential for litigation ignites the anticipation of litigation. Lakes, at *7. Moreover, at least one person who reported a flash-over stated they did not want to sue. Id. The Court described the reports as a business policy had a “rubber stamp” they were created at the request of an attorney to “ensure that all investigations could be undertaken with the cloak of work product secrecy.” Lakes, at *7-8. Just as some people put a plate under a candle to avoid wax spills, the Court held that even if the reports were protected as qualified work product, that immunity would be negated because of the needs of the litigation. Lakes, at *8-9. The test is whether a party seeking the discovery can demonstrate a substantial need for the information, plus the inability to obtain the data from other sources without undue hardship. Lakes, at *9. The Plaintiffs were given a report with 1,283 flash-over incidents. The redactions would require the Plaintiff to conduct tests of aged candle remnants or witness interviews, information which was already available in the redacted reports. Furthermore, this is information that the Defendant would provide to their own testifying expert for analysis. The Court held that the Plaintiffs met the burden of showing a substantial need for the reports and ordered the un-redacted version to be produced. Lakes, at *10-11. 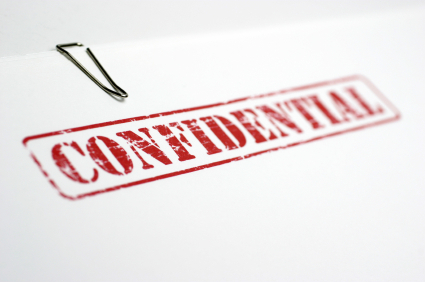 Producing incident reports could require the redaction of personal identifiable information (PII). This can include names, addresses, phone numbers, and email addresses. Many review applications could automate this workflow so reviewers do not need to drag and drop boxes over all PII, but it could still be a labor-intensive process.